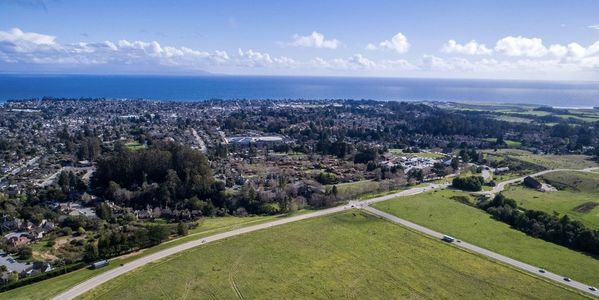 The East Meadow at UC Santa Cruz (UCSC) is not only beautiful and emblematic of the campus and the city, it's also a living monument to the University Founders' commitment to environment, preservation, and history. The University's current Long Range Development Plan (LRDP) still upholds this tradition of environmental preservation, stating "The meadows south of the developed center of the campus will be maintained as undisturbed grassland. In these meadows no building will be allowed." But now, a fast track plan will destroy the Meadow with a large student housing development — not because it is appropriately planned but because it's the faster and cheaper option. It's absolutely true that UCSC needs more affordable housing and childcare, but destroying a beautiful and beloved natural landmark with little public debate is not the way. Sign my petition asking UCSC's Chancellor George Blumenthal and Executive Vice Chancellor Marlene Tromp to immediately stop all plans to develop the East Meadow. There are several better and less controversial choices for development on campus, but the University is pushing forward this ill-advised and unpopular plan just to save a buck — to the disappointment and outrage of thousands of students, alumni, faculty, and visitors. In 1965, I was proud to be part of the founding class at UC Santa Cruz. The UCSC campus was then — and still is — an amazing, beautiful, and inclusive space for learning. Surrounded by majestic redwoods and lush landscapes like East Meadow, the university continues to be a leader in thoughtful and sustainable environmental planning. Hasty development of East Meadow would not only be a huge environmental mistake — it would also be an insult to the University's traditions and history. Stop this mindless, anti-UCSC travesty. Sign my petition to stop UC Santa Cruz's destruction of East Meadow! Dear supporters, this will be my last update. Your signature on this petition has been critical in convincing the Chancellor to allow more deliberation about building on the Meadow! The Action Committee has used our petition to great effect but now they need legal resources. Therefore, my last plea is for you to donate even a couple of dollars to sustain and strengthen our opposition to destroying East Meadow.. PLEASE donate. https://gofundme.com/htqfur-east-meadow-action-committee. THANK YOU! Hello East Meadow supporters. The urgent action needed is for each of you to write an email request an extension of the comment period for the 600 page Environmental Review report. Write to:Alisa Klaus, UC Santa Cruz, , Physical Planning & Construction, eircomment@ucsc.edu. Second, as the petition winds down, begin going to the EMAC website to continue your support and obtain up to date info. You are awesome. Many thanks! A quick note to tell you that the UCSC Chancellor has responded to our petition and my letter. I will write more but I do want to communicate that our next move will be to insist on an extension of the public comment period for the just released draft environmental impact report (see my last update). The time will permit us to argue for the alternatives to building on East Meadow. Stand by. Thank you all For supporting this petition. 1. I’ve sent the first letter to the Chancellor informing him about this petition. 3. The East Meadow Action Committee, supported by this petition, is preparing to meet awith the Chancellor.